In Part 1 we looked at the background to the M.41M development, the 90/53 and its combat use in Sicily. In Part 2 we will look at some of the other projects which came about at the same time as the M.41M and after it and then conclude with a list of the vehicles which one day you could face on the battlefields of WoT. Now, the authors Ceva and Curami actually caption this as a “Semovente 120/44” and as “102/44” in the index of images but it is my opinion that they are mistaken. It’s not that Italy did not possess such guns because they did; several guns actually in those calibers but the gun in the model is almost certainly the same Cannone 90/53 as seen on the M.41M. Looking at the hull too it appears to be wider than the M.14 series hull and may be either the originally planned P.26/40 hull or an intermediate type hull which has been modified. Later on we’ll see a third option for a Semovente 149/40 which is the type of hull I believe this one to also be. The layout remains essentially the same however with the transmission at the front, then crew, engine and the pedestal for the gun mounted immediately behind and above the engine. The platform provides ample space for rotation of the gun during 360 degrees of firing but given the dual purposes of these guns (and a possible specific AA role for this one) I believe it would have been fitted with a gunshield had it gone to production.There’s also a lot of space under the platform at the back for ammunition too. That circular firing platform on this vehicle actually has sides which fold up although they are hard to make out in the image. Game wise I’d like to see this machine just as it is in the image but with a gunshield fitted as it’s a necessity. Given the height of the gun above the hull it would be very easy to hide the chassis behind obstacles and fire over them. The pedestal mount will also improve the depression. Naming it will be harder as the ‘Semovente 120/44’ caption I believe to be wrong based on the gun in the model (although a name could be made for it relatively easily such as ‘Semovente CC’ for example). I don’t have anything saying that the mounting of a 120mm piece on this vehicle definitely was not planned but the authors Ceva and Curami don’t provide proof of it being planned either other than their caption. In the absence of specific evidence I’d be happy with it retaining just the 90/53 and the like as gun options in game although Wargaming may choose to do as they wish anyway for the purposes of balance. This version is initially pretty similar to the M.41M but a closer look shows it to be a different beast completely. The gun is in the same position at the back of the hull on a pedestal (albeit minus a gun shield which I would assert would be added as both a necessity in real life and for WoT) The hull appears wider than the M.14 series too and the sides have panels folded down in the model. There is now lot more space in the back of the hull for ammunition and although the gun appears to be still the same 90/53 this may well be one of the original designs for the M.41M vehicle using the P.26/40 hull. Again this does not have a formal name as a ‘Semovente’ in the series but as before it could be done relatively easily. ‘P.40M’ etc. In this configuration with the P.26 heavy tank hull (or similar) and the 90/53 cannon upgradeable with a little WG magic to the 90/70 Italy has a powerful and mobile tank destroyer. Work on all of these designs halted when the Germans took over the majority of Italian industry in September 1943 though so development of any of these machines has stopped. The only other vehicle to have reached prototype stage in this ilk though by the time of the fall of Italy is the ‘Semovente 149/40’ which was prototyped on the chassis of an M.15/42 medium tank with the 149/40 Modello 1935 gun mounted in much the same manner at the back as before. This gun is simply enormous on this hull and actually had folding outriggers at the back to assist in managing the recoil forces. Development of the gun itself started in 1933 by Naples Arsenal as a design based off the venerable WW1 era 149/35 (also known as the 149A due to the steel barrel) and was originally an L37 piece (1933) before being accepted for service as an L40 piece in 1935. The gun alone weighs about 7800kg and once mounted weighed in finally at a worrisome 24 tonnes prototyped on a chassis intended for a 15 ton tank. The gun could fire a 46.2kg HE shell or 50.8kg AP shell at 800m/s. Compare the very decent performance of the 11.8kg AP shell of the 90/53 at 830m/s to this shell which is now more than 4 times heavier and depending on load could be fired ‘hot’ at the same m/v and we have a very unpleasant surprise for enemy tanks. That’s just the AP shell too, there are even APDS and APHE shells which can be fired from it for added and is considered a better gun than the German 15cm Kanone 18 and 39 and the US 155mm M1A1. Only a single prototype of this vehicle though was finished by August 1943 and underwent some testing. In September of 1943 it was taken into service by the Germans and was eventually recovered by US Army Ordnance near Paris and subsequently taken to Aberdeen Proving Grounds for evaluation. The M.15/42 tank despite having better mobility than the M.14 series tanks was still very underpowered for this mounting and as such is best suited to the role of artillery in the game even though direct fire would have been an option. 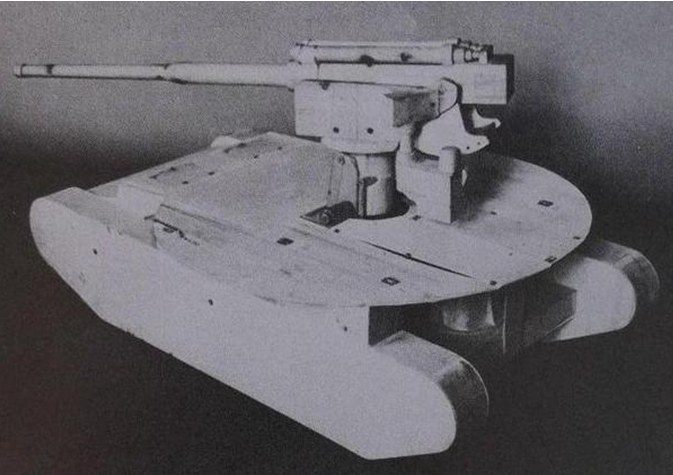 The original plan for the vehicle though was not to use that M.15 tank hull but instead a special Ansaldo tank chassis made for the purpose almost certainly based on the P.26 tank hull and was to use a strengthened type of P.26 tank suspension. Production of the M.15/42 tank though was still underway and the fabrication of the P.26/40 heavy tank (by this time in the war really a medium tank for all intents and purposes) was only just starting and hampered by a shortage of engines. The special Ansaldo chassis is therefore possibly the ‘L’ (Larga) version of the P.26/40 hull modified to suit this gun. (Like the other two there’s no official name for it but ‘Semovente Ansaldo 149/40’ seems appropriate) Such a hull was already planned anyway for other Semovente which suffered the same development problems as this one. Even mounted as it was though on this very limited M.15/42M chassis the prototype Semovente 149/40 had a very respectable 53 degrees of traverse and could carry 6 rounds itself. Had it ever been fielded as designed on that special chassis and using the engines off the P.26/40 programme instead of the rather weak M.15/42 tank engine this would have been a very capable piece of equipment although given the size of the shells I suspect it would still have required the use of ammunition tenders as well. The M.41M was a rushed development, they didn’t have time to use the chassis planned for and military developments in Russia and North Africa lead the unprepared Italian army to take any solution offered. The fact that a capable and effective tank destroyer came out of that in a remarkably short time period is a testament to what could be done when it really needed to be. Had it been developed in numbers the way intended it is unlikely to have affected the outcome of the war for Italy but as it stands just 30 of that type were produced and as such were a potent threat to allied vehicles at the time. The 90mm gun was to be a sort of unifying calibre across both the newly planned and as yet unbuilt P.43 tank planned originally to be fitted with the 42 calibre version of the 90mm gun. The planned 70 calibre version mentioned in Part 1 was abandoned upon the fall of Italy too or else that also would be usable both the P.43 and M.41M or its P.26 based cousin. Game wise WoT accounts for this and they become usable within the bounds of historical constraint. 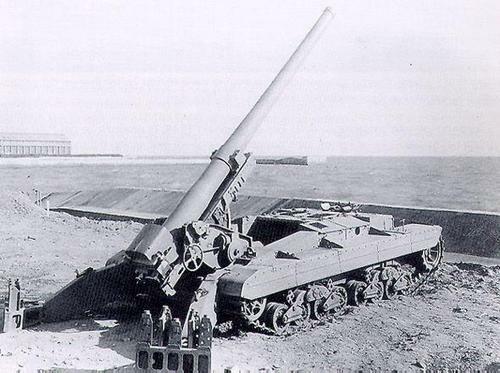 The 90/53 gun itself actually soldiered on after WW2 where it was experimentally upgraded to an L.74 piece for AA use capable of over 1000m/s although the advent of anti-aircraft missiles rendered this piece like so many other AA cannons obsolete. Game wise it is unlikely at the moment that this gun would be available for the M.41M or P.26 based version of the Semovente even though it is only 150kg heavier than the 90/53. One further derivative of note is the OTO-Melara automatic loading system for the 90/53 which despite being rather complex could achieve 1 round every 2 seconds from that gun. The 90/53 gun itself was not retired from Italian service until 1968 to 1970 and the last confirmed use being during the Balkan wars of the 1990’s by the Croatians against some Serbian naval units. Today if you want to see either the Semovente 149/40 or M.41M you have to go to Fort Sill, Oklahoma where both are preserved. The M.41M captured in Sicily we saw in part 1 recently underwent restoration back to the rather glorious ‘Sand and Spinach’ camouflage scheme. The 149/40 is is a sad state of disrepair but being unique is hopefully on a short list for preservation. 1-Veicoli da combattimento dell’ Escercito Italiano dal 1939 al 1945 by Cesare Falessi and Benedetto Pafi.